The party is back! Just Dance 2014 – the latest edition of the world’s #1 selling dance game brand – is bringing all new moves with breakthrough features for every motion control platform and over 40 of the hottest tracks and dances. 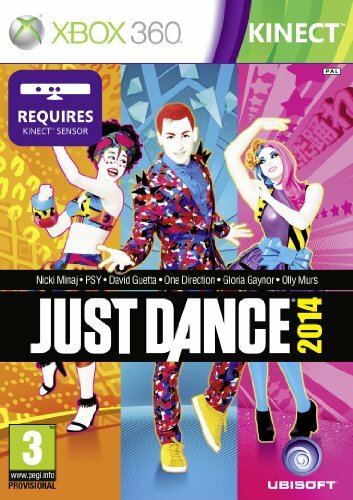 Just Dance 2014 takes the fun to another level this year with all new ways to create the best party ever! Own the spotlight and lead back-up dancers with the new On Stage Mode, dance with anyone anywhere in the world with World Dance Floor, work out to customized Just Sweat experiences on any song– and much more! Bring home the ultimate party starter and join in the fun! - World Dance Floor: Dance with anyone anywhere in the world in Just Dance’s first-ever online multiplayer mode! 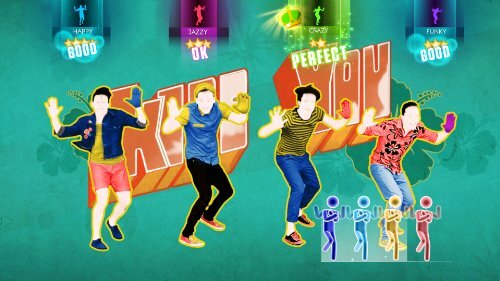 Players join a virtual crew – made up of real-life friends or other Just Dance fans – and compete based on different themes (“Boys Vs Girls”, “Crew Vs Crew”). Players can also track their standing on global leader boards, check out fun stats about other players around the world, and see community updates. - On Stage Mode: Own the spotlight in this new mode where one player will dance, lead 2 back-up dancers, and even sing if they want! As the star of the show, the player can take it seriously and show off how talented they are, or just goof off with friends. You’ll even be able to score on the lyrics by your singing talent! - Evolved Sweat Mode: Players can personalize their Just Sweat workouts by creating custom playlists and tracking calories. 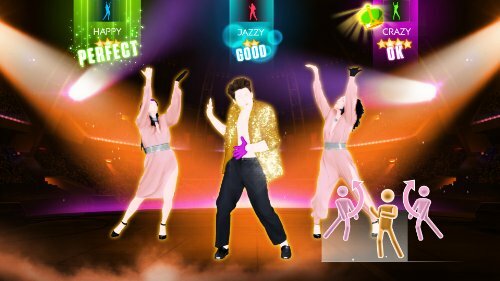 - There’s also a new option that will allow the players, in all gameplay modes, even outside of the dedicated Just Sweat mode, to track calories/time spent dancing/number of songs played. - Smartglass technology: With this Just Dance 2014 next gen feature you’ll be able to select your song via smartglass. - The player will also be able to navigate through the menu and coverflow of the game with it. - Furthermore, the feature Party master will be available on smartglass! - Autodance: Autodance is now on all camera-enabled platforms and has received an extensive upgrade! Players can use Autodance to transform their moves into music videos, bring their dances to life after each song, or simply goof off to create hilarious videos. With Autodance, players can instantly share all their favorite moments with friends, family or the whole world! 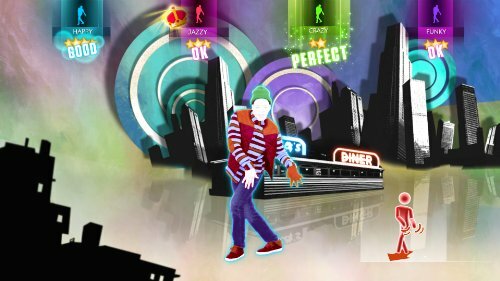 - Just Dance TV: Browse through friends’ dance videos, check out the most recent and popular content, and explore the Featured Video section in upgraded Just Dance TV – the biggest hub of user generated videos ever seen in a party game. - More Dances Per Track: Everyone loves variety! Find alternate choreography across all modes including Just Sweat, Extreme, Battle and Mash-Up. - Karaoke: Sing along to any song! Lyrics are displayed at the bottom of the screen, and players are given bonus points for singing along. - Improved Shop: Never miss another song or update to the game. Now, when players select a song, they’ll immediately see any available alternate versions offered in DLC format.